You've made rural Duchesne, Utah your home. You enjoy the quiet community and the swift connection to the beautiful outdoor world. However, that doesn't mean that you can't enjoy the convenience of city style customer service when it comes to your home maintenance needs. At Advanced Window Products, we specialize in vinyl window replacement. Located in Salt Lake City, our highly trained window installers have years of experience helping the residents of Duchesne, Utah replace their old windows. You receive all the benefits of purchasing replacement windows from a locally owned and operated business, who has the highest customer approval ratings and satisfaction guarantee, but you don't have to modify your lifestyle or location to get the quality experience that our customers have grown to love. Time to Upgrade Your Windows? As the seasons change, your comfort shouldn't. As a Duchesne homeowner, you've probably thought about replacing your old windows with newer, energy-efficient windows, but the time and the cost may have made you put it off. Great news- not only is replacing your windows easier than ever, but you can also get a $1,500 government tax credit for choosing to upgrade your home's energy efficiency. Sound too good to be true? It's not! Scoring this tax credit AND making your home comfortable throughout every season is now easier than ever. You'll also save hundreds of dollars each year on your home's heating cooling bills- replacing your windows with newer, energy-efficient windows is a no-brainer. If you're ready to upgrade your home, you want experts who you can trust. For top-notch Utah window replacement for your Duchesne home, set up a free estimate with Advanced Window Products. Not only will you get top quality professionals- you'll also get a limited lifetime warranty and the latest energy-efficient window technology. When you're deciding to upgrade any part of your home, you want to make sure that you're working with a company you trust. 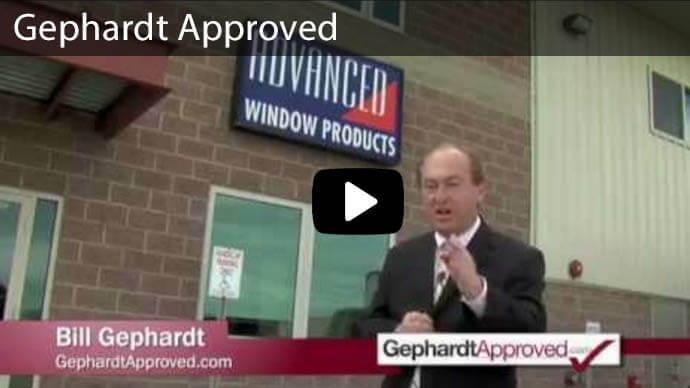 Advanced Window Products makes sells, and installs energy efficient vinyl windows. When a product is manufactured, sold, and installed by a single company, money is saved by cutting out the "middleman," and those savings are passed onto you. Your window professional will help you decide what type of windows make sense for your home and will work with you to ensure that your home's new window solution matches your needs and your budget. All windows are custom made to ensure a perfect fit for your home. Have a multi-story home? No problem! At Advanced Window Products, you can purchase windows that swing inward for easy cleaning- no more choosing between dirty windows and risking your safety but using a ladder to clean windows on the second and third floor. No matter what challenges your house presents, the experts at Advanced Window Products will have a solution. It's easy to put off a big decision like replacing your windows, but this isn't something that you want to put on the back burner. Every time the weather changes, money is literally seeping out the cracks of your old, outdated windows. While replacing your windows is an investment, you can't afford to keep throwing your hard earned money to the wind! Of course, you're wondering how much this is going to cost- that all depends on exactly what you need. When you schedule an appointment with Advanced Window Products, a trained professional will assess your needs and recommend a solution that makes sense for your home. You don't want just anyone working on your home. The experts at Advanced Window Products are highly trained, licensed, certified, and will treat your home with the same care they would their own. Financing is available for many families. Schedule an appointment for an estimate with an expert at Advanced Window Products today. Give us a call at 801-505-9622. With our 0% financing program, you can enjoy new replacement windows for as little as $50 - $100 per month. Our lifetime warranty offers you protection against natural wear, guaranteed. High-performance glass repels the searing summer heat and insulates your home against the frigid winter temperatures. This advanced technology is accountable for our customers saving, on average, 25% off their energy cost. You can choose many different kinds of windows, with a wide variety of colors to decide on. From easy on the budget, to fancy features and upgrades, we have the window styles that compliment your home and your priorities. Double or triple paned glass options. All of our windows come with an argon filled chamber between the double paned glass. When scientifically tested these replacement windows naturally barricade a 40 degree temperature variation from the freezing cold outside temperatures, when touching the glass inside. Attention Residents of Duchesne, UT! Call 801-505-9622 to receive a free, no obligation estimate. Our friendly sales staff will walk you through the process of upgrading your home windows. No pressure, no gimmicks, no joke. Whether you need to have one window replaced or your entire home, we pride ourselves in offering the best customer service in the industry.